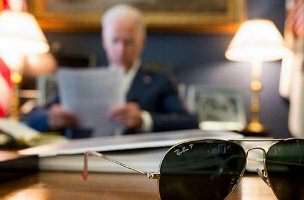 Vice president joins Instagram, staffers post first photo. WordPress is updated with refinements. These stories, and more, in today's Morning Social Media Newsfeed. WordPress.org Wednesday announced the debut of WordPress 3.9, which adds a slew of “refinements” to the blog management tool. You can download the new release now from WordPress.org/Download (it’s 6.0MB). Facebook has returned a username that it peremptorily took away from an Instagram user recently. A post Wednesday on story site Medium tells the tale. Bitly sat on its own database of social behavior data for years before recently making moves to license it. So Bitly CEO Mark Josephson isn’t surprised by the Twitter acquisition of Gnip. Twitter has teamed up with BSkyB, the broadcaster that owns Sky Television, the United Kingdom’s most popular premium digital TV service, to trial #WatchOnSky, a new tool that will let Sky customers watch or record shows simply by clicking on buttons displayed within a tweet. Users simply need to follow their favorite Sky channels on Twitter and look out for the #WatchOnSky hashtag within tweets, and then click on the Watch or Record buttons, logging in with their Sky IDs when promoted. A videogame that turns broadcasting gameplay into an interactive experience is going to meet its Kickstarter funding goal — thanks to Twitch, the game streaming site it was designed to work with. Twitch announced Wednesday that it would chip in the necessary funds to help Choice Chamber meet its crowdfunding goal. Facebook founder and CEO Mark Zuckerberg tells The New York Times the social network is fine with its different entities – like Instagram and WhatsApp – not being instantly linked with Facebook. “One of the things that we’re trying to do with Creative Labs and all our experiences is explore things that aren’t all tied to Facebook identity. Some things will be, but not everything will have to be …,” he said.